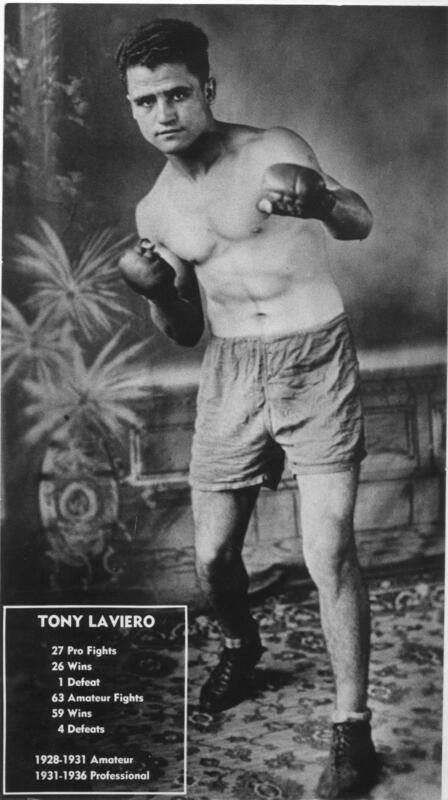 One of the most prominent names linked to Bristol boxing is that of Tony Laviero, a pugilist and, later trainer, manager and promoter in the sport. As one of the most notable of Bristol’s early boxers, fighting during the late 1920s and early 1930s, he had a somewhat brief but successful career. As an amateur, he posted a record of 59-4 and in 27 professional bouts following, only lost on one occasion. Laviero, who also sparred with some of the best boxers in the country, went on to mentor a number of area boxers after he quit the ring. Included was Bristol’s most successful boxer, Earl Roys, who he managed to the New England bantamweight crown in 1946.